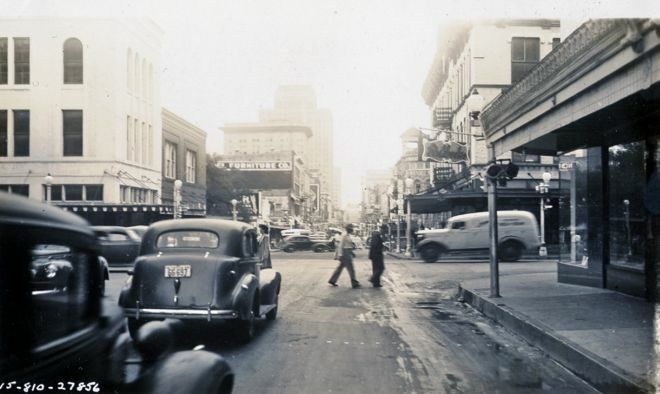 Below are historical photos of non-freeway streets and roads in and around San Antonio not covered in other galleries. 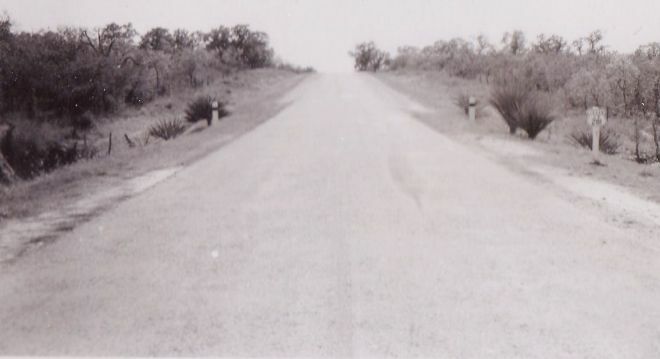 These photos are from the TxDOT photo archive and various planning documents. Locations are given using the present-day roadway names. Incarnate Word University is at the right. Note the traffic light on the near right corner. 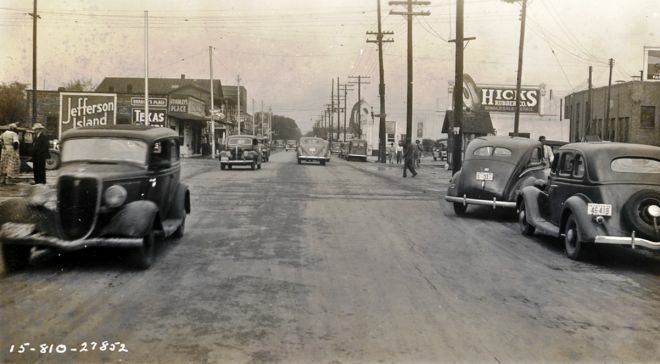 This was before Hildebrand was widened to four lanes in this area. Hildebrand used to make a dogleg at this location. This section of road still exists although it is now bypassed. St. Paul Square sits just beyond the tracks. 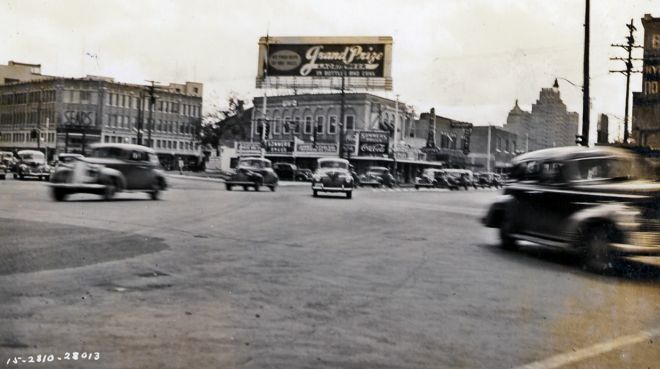 The storefront for Joske's (subsequently Dillard's and Macy's) is at the right. The present-day Torch of Friendship statue in the middle of Convention Plaza sits where the white building at the left is. This is one block further west than the preceding photo. Schilo's Delicatessen is at the left. 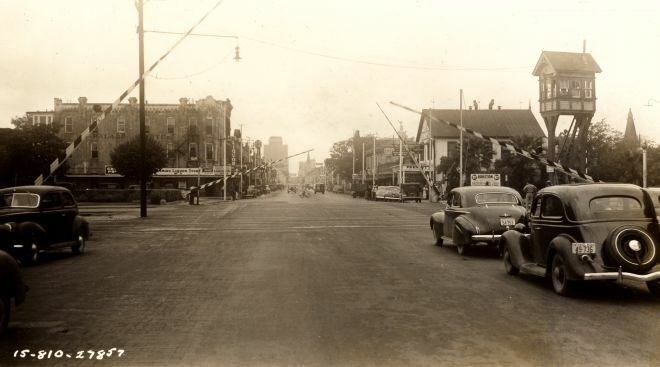 Notice that Commerce St. was two-way. The main hall at El Mercado can be seen about two blocks ahead on the right. 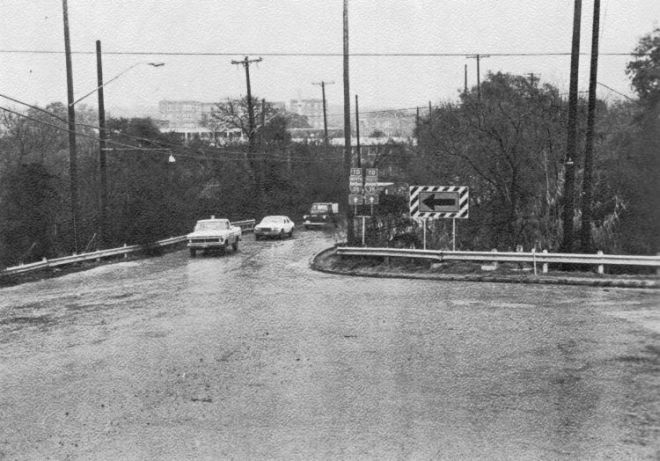 This is the location of the overpasses on Commerce St. near the present-day Bexar County Jail. None of the buildings in this photo exist today. 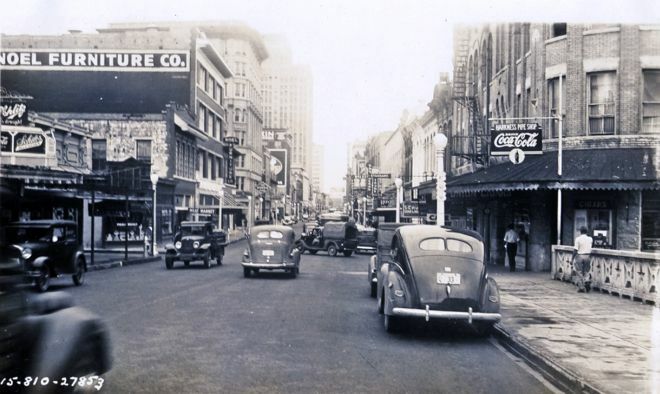 The Sears building at the left is the site of the present-day Central Library. Blanco Rd. was the primary route between Ft. Sam Houston and Camp Bullis until NW Military Hwy. was built sometime in the 1940s. The caption accompanying this photo is "Highway 3 Bexar County", but I cannot correlate it to any specific location. SH 3 was the predecessor to US 90, so my best guess for this spot would be somewhere along the old alignment of Hwy. 90 West (which was along Castroville Road at this time) on the far West Side. As with the preceding photo, the caption accompanying this photo is just "Highway 3 Bexar County". 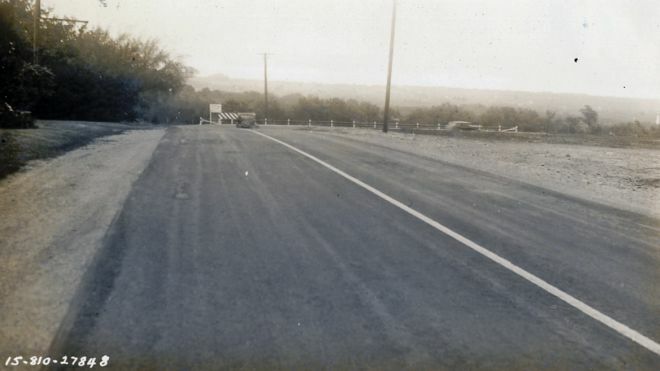 However, the sign at the bottom left indicates it's 6 miles to San Antonio, so this is likely either Castroville Rd. near Acme Rd. or maybe today's I-10 East near WW White Rd. This is the former railroad truss bridge that existed at this site until FM 78 was widened ca. 2000. This view is looking east. 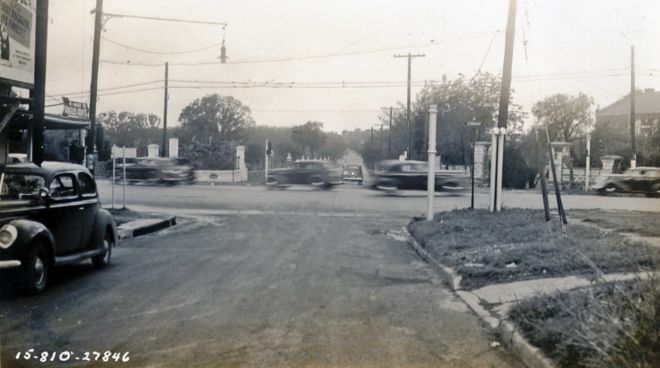 The roadway in the foreground is today's Aviation Blvd. This is possibly along FM 78 or Gibbs Sprawl Rd. This is possibly Gibbs Sprawl Rd. southwest of Walzem Rd. This is before the underpass was built (see next photo.) This photo is looking east. 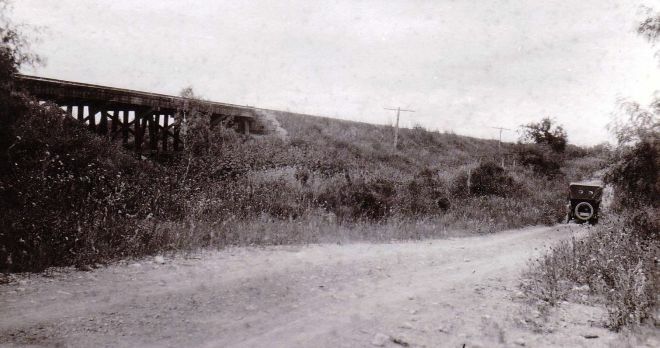 After construction of the underpass. This photo is looking west. 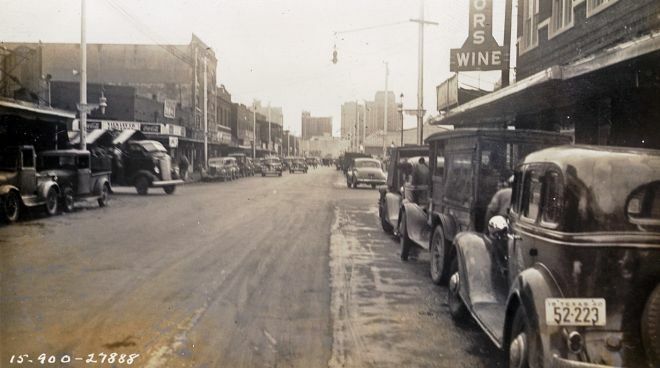 At the time, this was US 81. 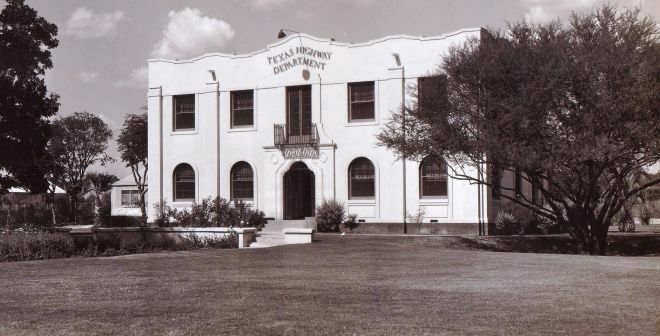 Former Texas Highway Department San Antonio District Office, 2300 S. Roosevelt Ave.